ZKGoodwin added a comment to T818: Axiom Weatherproof Enclosure. Unfortunately, I don't have the space, or funds, or a reason beyond Apertus to store a 3D printer. ZKGoodwin added a comment to M34: Axiom Beta Compact enclosure and labeling. In that case I think Sebastian should push for a magnesim alloy camera body, but they only have 3D printers and few people manufacturing their products, so a magnesim alloy body like what other camera companies camera bodies have, would have to wait. ZKGoodwin added a comment to T401: Axiom Beta Body. ZKGoodwin added a project to T820: 3/8 or 4/16 hole thread on Axiom Remote: Brainstorming. ZKGoodwin updated the task description for T820: 3/8 or 4/16 hole thread on Axiom Remote. ZKGoodwin created T820: 3/8 or 4/16 hole thread on Axiom Remote. 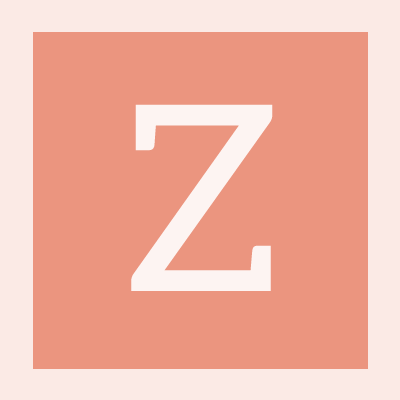 ZKGoodwin added a comment to T744: AXIOM Marque Font. Something like this looks better to me. I prefer the orange color of the text of Beta. My reason is so that you can disnquish it easier. ZKGoodwin added a comment to T817: apertus Logo Full Text Alternatives. I prefer Open Source Design and Open Source Cinema out of the seven names. ZKGoodwin updated the task description for T819: Could you Put an Intel i9 Gaming Cpu on an Apertus Gamma. ZKGoodwin created T819: Could you Put an Intel i9 Gaming Cpu on an Apertus Gamma. ZKGoodwin added a comment to T506: Idee for M2 SSDs as storage option for Axion Gamma. This sounds great to me too. ZKGoodwin added a comment to T675: 8K Camera for AXIOM Delta. Apertus would have to be bigger than RED and Arri to be able to make a custom made 8k camera. ZKGoodwin added a comment to T250: Research Packaging Foam Molding Solutions. ZKGoodwin updated the task description for T818: Axiom Weatherproof Enclosure. ZKGoodwin added a comment to T696: Is internal ND filter necessary for Axiom?. ZKGoodwin placed T818: Axiom Weatherproof Enclosure up for grabs. ZKGoodwin renamed T818: Axiom Weatherproof Enclosure from Apertus Weatherproof Enclosure to Axiom Weatherproof Enclosure. ZKGoodwin assigned T818: Axiom Weatherproof Enclosure to sebastian. ZKGoodwin added a project to T818: Axiom Weatherproof Enclosure: Brainstorming. ZKGoodwin created T818: Axiom Weatherproof Enclosure.